Hotels-New-Zealand is a group of independently owned and non-related hotels, motels and serviced apartments providing accommodation located across Whitianga New Zealand. Hotels New Zealand allows you to deal directly with the hotels giving you the best possible rates for these Whitianga hotels. Book your accommodation online directly with the hotels in Whitianga and save !!! The Beachside Resort Motel & Apartments in Whitianga offers modern one bedroom self-contained apartments with private balconies and/or courtyard. Conveniently positioned just a 3 minute stroll to the Whitianga main street and only 1 minute to the beautiful Buffalo Beach, the Beachside Resort Apartments is the perfect New Zealand holiday accommodation where you can explore the sights and attractions of Mercury Bay and the Coromandel Peninsula. Guests can relax in a large new contemporary one bedroom self-contained apartments, all of which are spacious, non smoking and individually furnished with contemporary decor. Facing north, all apartments catch the sun, which can be enjoyed on the private balcony. You can also admire the fantastic Mercury Bay view from the upstairs apartments. The Beachside Resort Motel Apartments Whitianga is nestled on the western shore of the beautiful Mercury Bay and only a stones throw from the golden sands of Buffalo Beach, in the heart of popular Whitianga. 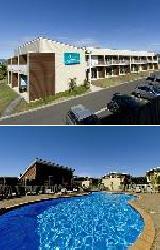 The Beachside Resort Whitianga features an excellent rage of guest facilities and services including a private walkway to beach, heated swimming pool, tennis court, children's playground, boat washing area, airport shuttle, laundry service, babysitting service, guest laundry, secretarial services, WI FI internet connection, disabled facilities and FREE onsite car parking. The Hot Water Beach Bed and Breakfast is ideally positioned just South of Whitianga and approximately two hours drive from Auckland. It is located at Hot Water Beach which has a reputation of being one of the world's top beaches. Couples and holiday makers can walk along the beautiful beach and even create their own spa pool in the natural hot springs at low tide. For another amazing experience you can walk to the world famous Cathedral Cove, explore the beautiful sandy beaches, observe our plentiful native birdlife and lush bush ferns in the surrounding Whitianga area. Some of the many activities that are available in the Whitianga region inc,ude surfing, kayaking, scenic boating, horse treks, diving, fishing, golfing, local wineries and bushwalks. Pipi Dune Bed & Breakfast Whitianga is located on a quiet residential neighbourhood just 1km from the newly opened Lost Spring luxury geothermal spa. 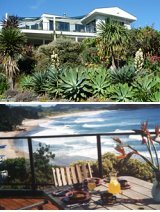 Pipi Dune B&B has easy access to Whitianga's main beach, Buffalo Beach, and is within walking distance of Whitianga's shops, stylish cafes and restaurants. With your own guest lounge, self catering options, laundry facilities, great rates and free wifi internet access the Pipi Dune B&B is your very own home away from home. Pipi Dune is available either as a B&B in one of the 3 rooms with access to our fully equipped guest lounge, or as a fully serviced Whitianga apartment that sleeps up to 6 people. With the beach only 20 metres away and the main street of Whitianga only a 2 min walk away the Crowsnest Apartments Whitianga is the perfect place for your next New Zealand beach holiday. The contemporary designed apartments are the ideal choice for an enjoyable and memorable stay in the stunning Mercury Bay of the Coromandel Peninsula. The Crowsnest Apartments Whitianga is located just a short stroll from the restaurants, shops and ferry to discover Cooks Beach, Cathedral Cove and Hot Water Beach. This Whitianga apartment accommodation offers spacious, luxury apartments with one, two, three or four bedrooms, serviced either on departure or weekly for longer stays, with onsite parking and a lift for easy access. The Mussel Bed Bed and Breakfast accommodation in Whitianga id the perfect base from which to explore Hot Water Beach, Cathedral Cove with the passenger ferry to Whitianga, which is just 10 minutes drive away. A visit to New Zealand's Coromandel Peninsula deserves a reasonable length stay so that you can experience all of the activities and sights that whole Coromandel area has to offer.